In the hours after one presidential debate recently, Google searches for “how can I move to Canada” reportedly spiked 1,150%. Supreme Court Justice Ruth Bader Ginsburg joked in a New York Times interview recently that her late husband would have been lobbying for a move to New Zealand. Here at International Living, we have nothing against Canada or New Zealand. But it should be said: There are warmer, better-value options to consider…all over the world. Each year at International Living we release our Global Retirement Index. Researched over months with the help of our ever-growing team of correspondents, editors, and contributors all over the world, this Retirement Index is the ultimate resource for helping you find your ideal retirement haven. In welcoming, good-weather escapes from Europe to Latin America to Southeast Asia, you can live better than you do now—for half the price. 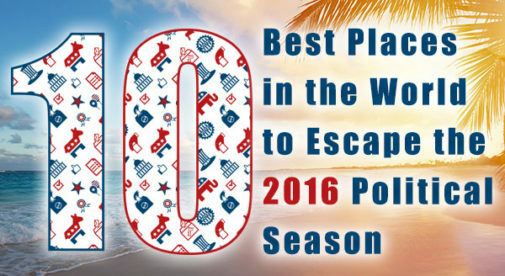 All 23 countries featured in the Index are terrific retirement destinations. Here we give you a taster of three top choices to consider—all three made it into our top 10 in the Index this year. Suzan’s budget doesn’t include health insurance, but that’s affordable in Ecuador, too. You can buy private insurance for typically one-half to one-fourth the cost you may be paying now in the U.S. for instance. Or you can opt to use Ecuador’s national social security healthcare system for an average cost of about $70 a month. On a modest budget, you truly can savor a life of luxury here. With your money going further, you can afford to treat yourself to the stunning array of local food—which mirrors Malaysia’s diverse cultural make-up. For as little as $5, you can enjoy an excellent meal, with a bottle of wine setting you back the same price. The street food is similarly scrumptious and one of the true charms of Malaysian cuisine. 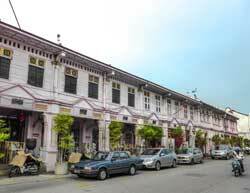 “In Penang, we spend anywhere from a quarter to a third of what our monthly budget was back in Chicago,” says International Living’s Malaysia correspondent Kirsten Raccuia. Even on a modest budget, you truly can savor a life of luxury in Malaysia. Direct flights to the U.S. are also available, so getting home for the holidays needn’t be a concern. Neither is Internet access, as every year high-speed Internet makes more and more inroads into the country. It’s already widely and cheaply available in popular expat destinations like Kuala Lumpur and Penang. Because of its easy mix of the archaic and modern, Malaysia has been described by expats as stepping back in time, yet with all the benefits of modern comforts. Twenty-first century conveniences abound, but Malaysia holds onto enough of its Old-World, Asian charm to make it a real haven for those eager to experience new cultures and traditions. The public transport network is comprehensive—you don’t need a car, particularly in the cities. And the quality of the roads is first-rate, so if you do decide to invest in a vehicle, dirt tracks won’t be an issue. Healthcare quality is similarly top-notch, particularly in the larger cities, where it is comparable to that in any First-World nation. A doctor’s appointment will set you back as little as $15. Although not as cheap as in most of Latin America, property in Spain is often of a high standard and far better value than in many other European countries. Likewise, Spain’s cost of living is lower than what you find in much of Europe. 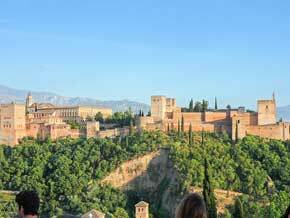 A couple can live comfortably in many cities in Spain for about $2,600 a month, including rent, making Spain a great warm-weather, low-cost choice for anyone who wants to spend time in Europe. For years, Spain’s famously warm climate has been attracting expats from colder climes. So if it’s sun you’re after, you can do much worse. The aptly named Costa del Sol (“Coast of the Sun”), a 100-mile stretch along Spain’s southern Mediterranean coast, is blessed with some of the best summers (and beaches) in the world. But even the more northern reaches of the country (such as Catalonia and parts of the northwest coast) provide tee-shirts-and-shorts weather late into the year. Winters in these areas are never worse than mild. All the First-World amenities you would expect of a European country are abundant in Spain. Spain’s people, cityscapes, and famed food draw influence from the many groups who have settled there over the centuries: Basques, Moors, Celts, Catalans, and others, with each region flavored by its own identity. It all guarantees you have plenty to see and do. All the First-World amenities you would expect of a European country are abundant in Spain. The Internet is reliable and fast, with coverage everywhere. Public transport is so efficient that you only need a car in the most remote regions. Home comforts—U.S. television, movies, and music—are easy to come by, too. Spain’s healthcare system is routinely recognized by the World Health Organization as one of the best in the world.